My daily commute takes me from Linlithgow to Glasgow by train. The line was electrified in a major engineering project recently, and as is common with such things in the rail industry, it suffered a few delays and setbacks. 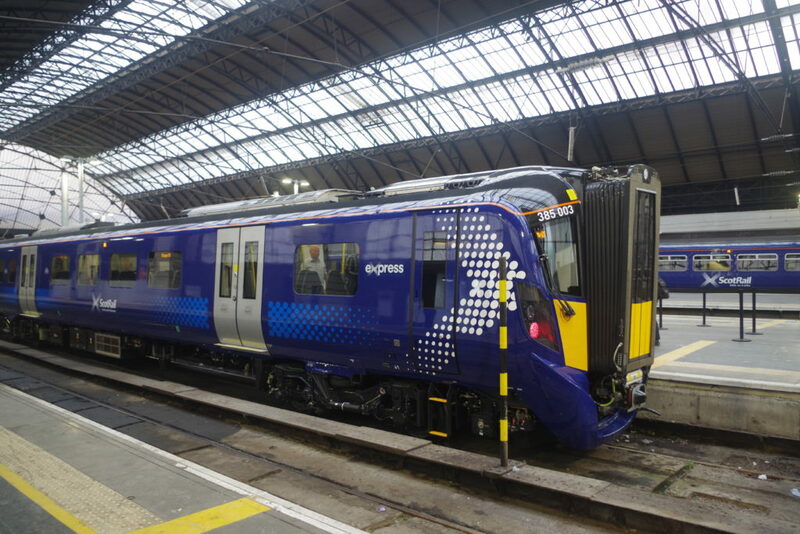 In particular, ScotRail had to borrow some older electric trains to operate services due to some delays with the new trains they’d purchased. 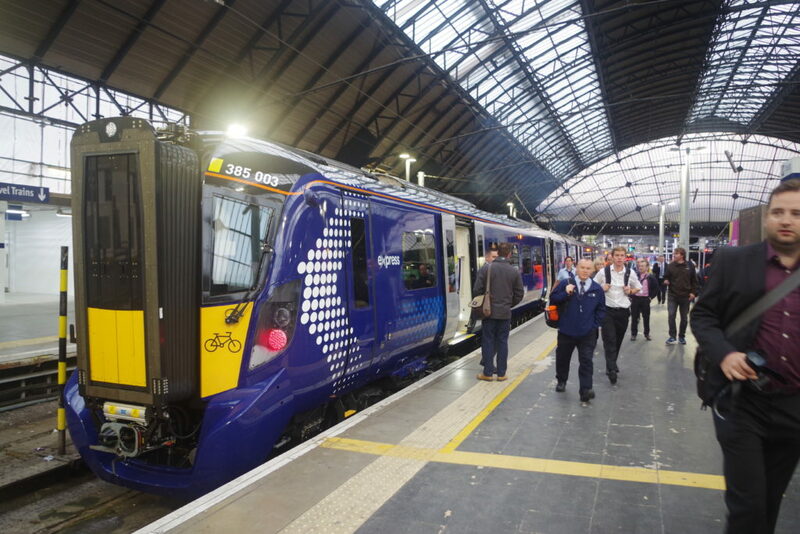 However, it was a proud day today, as the very first Hitachi Class 385 train entered service, on the 05.55 from Edinburgh to Glasgow. 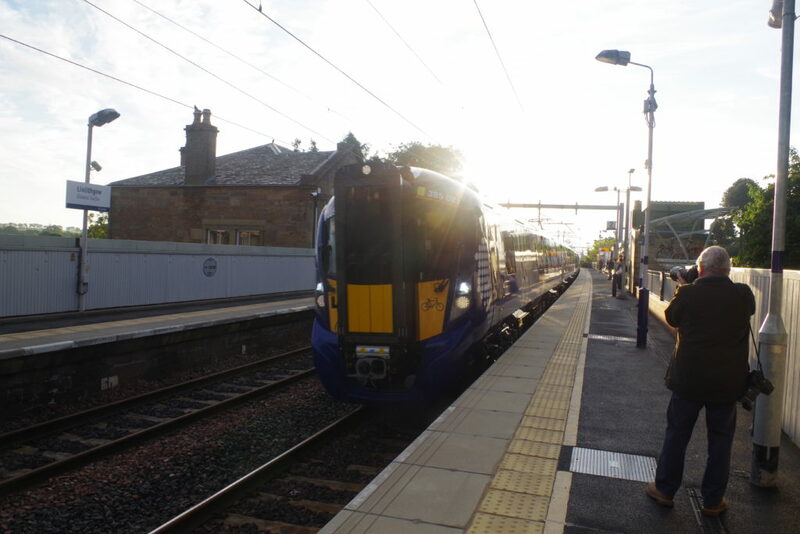 As this calls at Linlithgow at 06.15, it provided me with a suitable excuse to get out of bed early and travel on it to work. My son was keen to join me, so off we went at godawful o’clock, ready to greet the new train as it arrived. First thing I noticed was New Train Smell! It’s a lot like New Car Smell. I was pleasantly surprised to find plenty of seats, as I thought it would be wedged full of trainspotters on this auspicious occasion. The biggest groups of passengers on board were railway staff and Hitachi engineers – clearly they were keen to make sure this trip was a success, after the slightly-less-than-auspicious entry into service of the InterCity Express last year. Thankfully everything went without a hitch today, and we ran on time throughout. The journey was everything it should have been, in fact – comfortable, quiet and reliable. Based on my initial experience, I’d say this is a very nice train – the ride was smooth, the acceleration is quick, and the noise levels inside are much lower than both the diesels and older electrics that came before them. The seats are of a modern ultra-thin design referred to as “Ironing Boards”, and they’re generally not popular. They’ve appeared on a lot of new trains recently, and are notorious for being rock-hard. This was the first time I’d experienced them, and I agree, they could seriously do with some extra padding, but that said, they’re a very good shape, and I found they encouraged decent posture and were adequately comfortable. Interior finishes are generally very nice – I like the quite minimalist design and concealed lighting. Only downside is poor alignment of seats and windows in some places. The sun was a bit unforgiving in Linlithgow, so I took a few more photos on arrival in Glasgow, so here’s the train in all its glory. 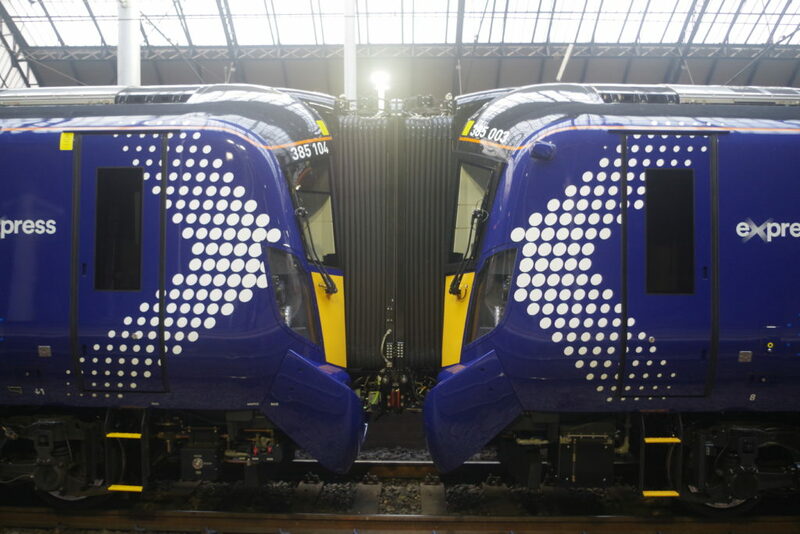 I think the exterior is going to take a bit of getting used to – I’m not convinced it’s the best looking train in the world, especially as the fronts are asymmetrical following an infamous design problem with the first type of windscreen that was fitted, which caused a major delay with entry to service. However, when the problem was found, it was fixed impressively quickly, so fair play to Hitachi for sorting it all out. 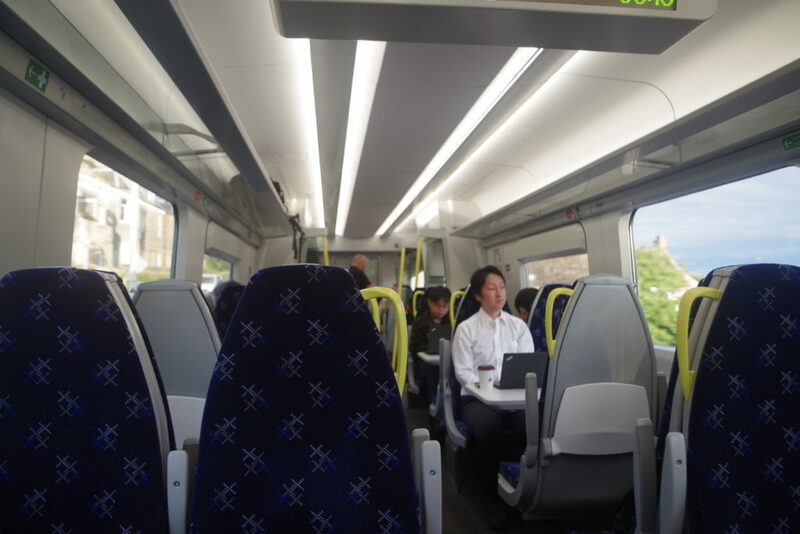 At the end of the day, they’ve delivered an attractive modern train with good facilities and ambience, and in future they’ll speed up Edinburgh to Glasgow trains to an impressive 42 minute journey. It might be a while before we see too many of these in service, but they’ll be common soon enough. I think they’ll get a warm welcome.